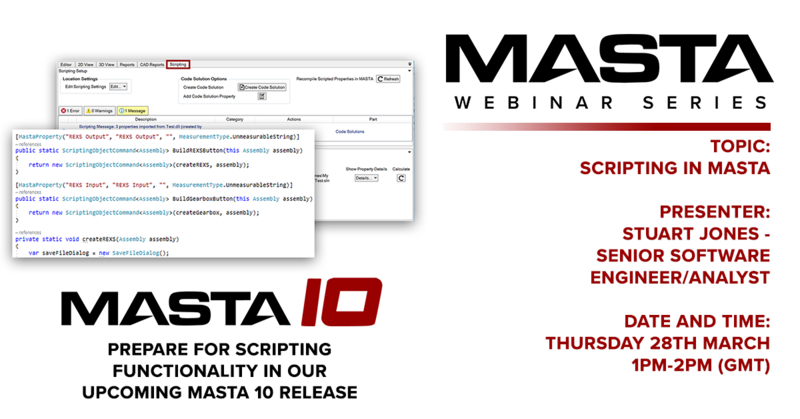 Webinar 10 focused on scripting in MASTA. Registration for this webinar has now closed. Webinar 9 focused on our recent MASTA 9 software release. *Registration for this webinar has now closed. If you missed this webinar, you can catch up here. Webinar 8 focused on modelling complex planatary arrangements within our MASTA software. Webinar 7 focused on imported FE components within our MASTA software. This webinar looked at importing and reducing FE in MASTA models and the impact of including FE components on system analysis. Webinar 6 focused on bearing analysis within our MASTA software. This webinar explored MASTA’s bearing analysis capabilities, to provide an overview of the tools available to aid bearing selection, design and analysis within your projects. Webinar 5 focused on Parameter Studies in MASTA and RUNNA. This webinar explored MASTA’s Parameter Study capabilities and how they can be applied to your projects. Webinar 4 focused on MASTA’s NVH functionality. This webinar demonstrated how to efficiently use NVH abilities for your projects. Webinar 3 focused on MASTA’s Macro Geometry Design Space Search. This webinar illustrated how to efficiently use the Macro Geometry Design Space Search for your projects. After the success of our first live webinar, we’re delighted to announce the second instalment of our series as ‘MASTA Hints and Tips’. This short webinar was presented by Euan Woolley, our Software Development Director and has been devised to help increase your speed and efficiency when using MASTA. This is a MUST see webinar if you are a current MASTA user, looking to increase your efficiency and knowledge within MASTA. *Registration for this webinar has now closed. Please contact us if you missed this webinar. The first webinar was presented by Matt Sheridan, a Senior Transmission Engineer at SMT and covered an initial overview of our MASTA software and its interface. Looking ahead, this webinar series will feature presentations from both technical development and engineering experts from SMT looking to demonstrate the latest features within the software, and also make a nod towards future developments.